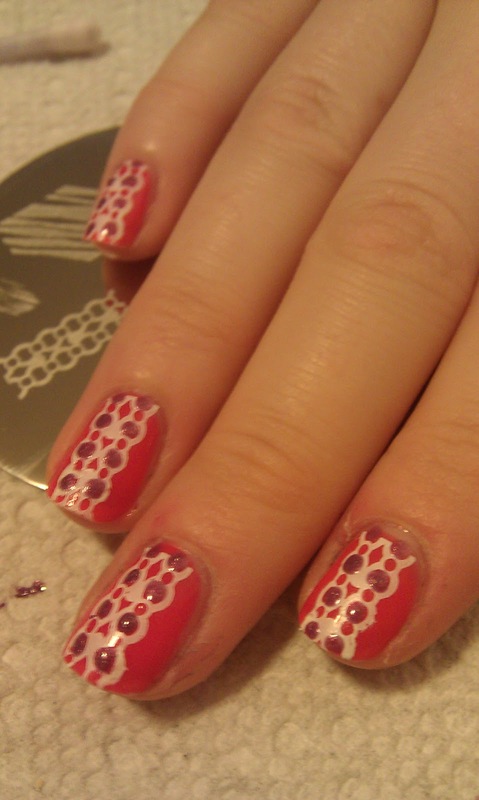 This design is something I came up with the other day just playing around with my new BM plates. 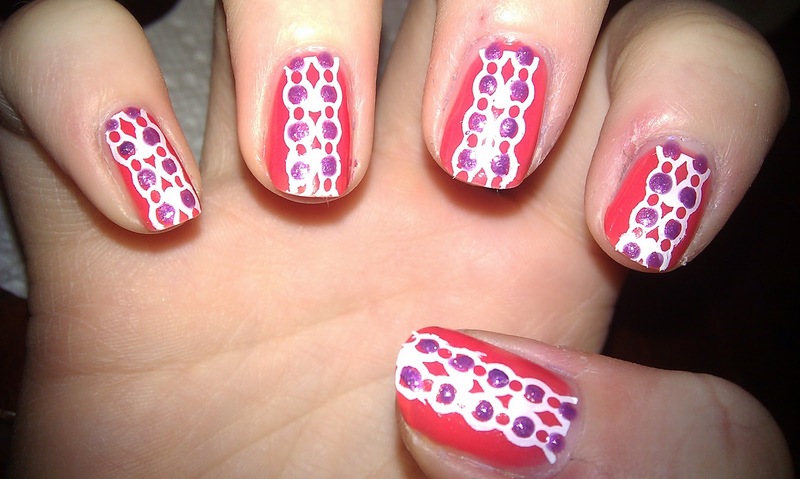 Its an easy design that anyone with the plates can accomplish. 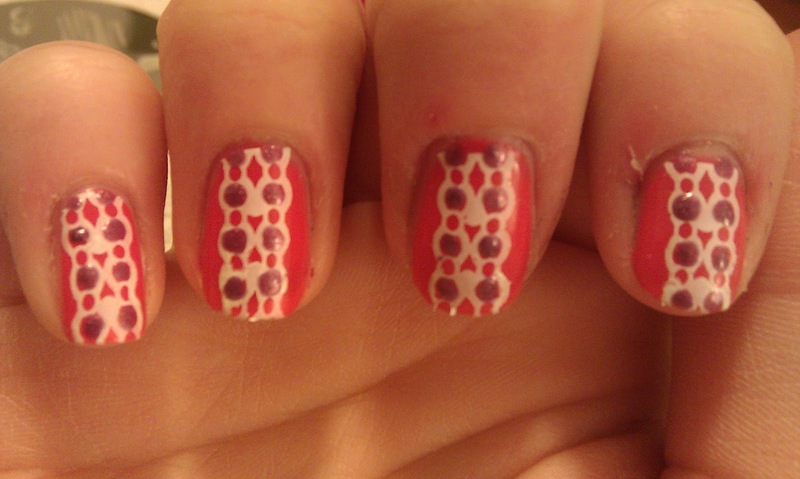 I didn't wear it though because I had another awesome idea for a manicure in the middle of doing this one! 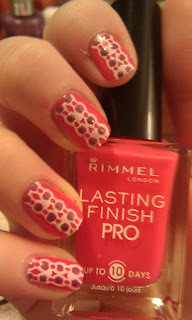 The Base is Rimmel Sunset Orange. 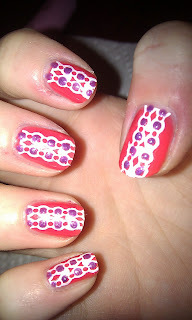 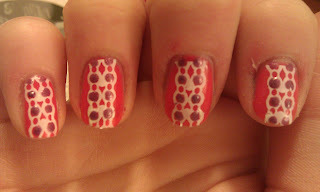 I stamped with Konad white and any purple polish will work for the dots :) Hope you like.